Emmeline Pankhurst, mother of the British Suffragette movement, was born 153 years ago this week, on 14th July. 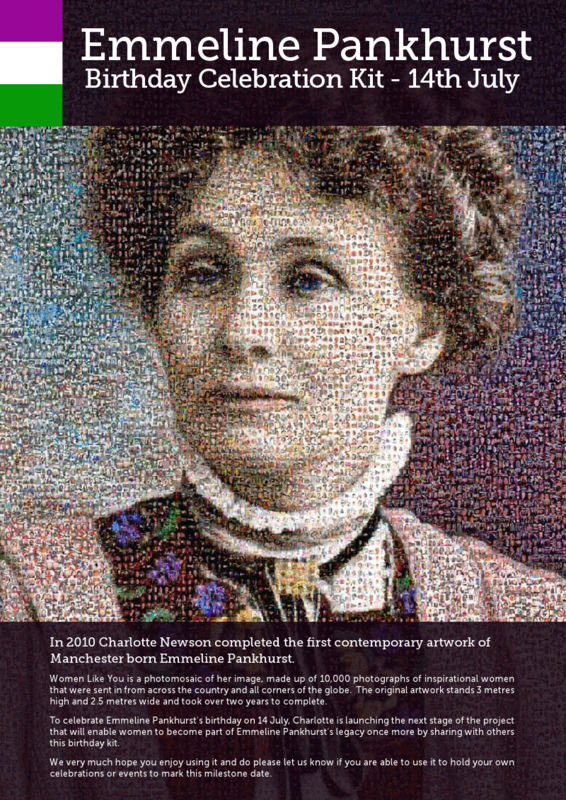 To celebrate her legacy Charlotte Newson has created Women Like You, a photomosaic portrait of Pankhurst made up of 10,000 individual images of inspiring women - celebrities, mothers, daughters, politicians, scientists – all sent in by members of the public from all corners of the globe. The artwork took Charlotte two years to complete and stands 3 metres high and 2.5 metres wide. To mark the date of Pankhurst’s birth on 14 July 1858, Charlotte has turned the Women Like You artwork into a virtual birthday card for women to either sign or post their image onto, creating a personal and very public birthday message to the woman whose legacy transformed the lives of women in this country. The e-card is displayed on Charlotte’s website, featuring the names and photographs of women from all over the world. Living and working in Manchester, Charlotte Newson has over 20 years’ experience as an artist and has a residency at The Pankhurst Centre, a museum and women’s support space on Nelson Street in Manchester that was the home of Emmeline Pankhurst and her daughters Sylvia, Christabel and Adela from 1897 – 1907. Men make the moral code and they expect women to accept it. You have two babies very hungry and wanting to be fed. One baby is a patient baby, and waits indefinitely until its mother is ready to feed it. The other baby is an impatient baby and cries lustily, screams and kicks and makes everybody unpleasant until it is fed. Well, we know perfectly well which baby is attended to first. That is the whole history of politics. 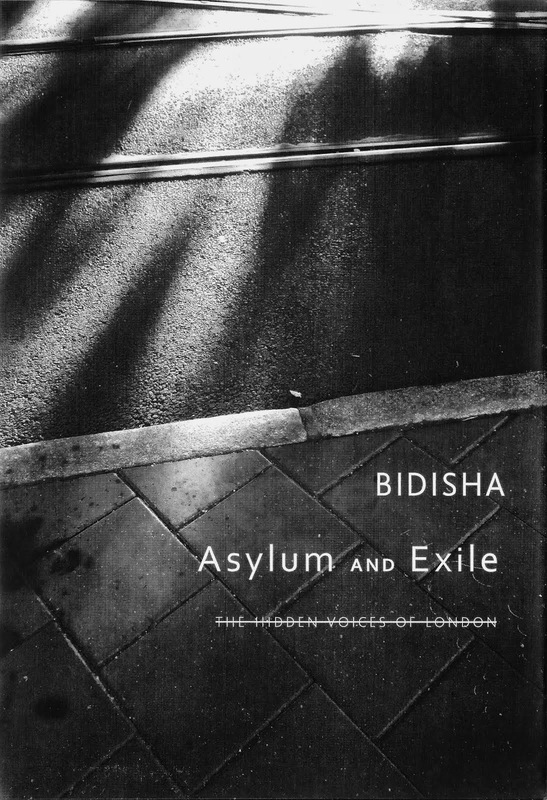 You have to make more noise than anybody else, you have to make yourself more obtrusive than anybody else, you have to fill all the papers more than anybody else, in fact you have to be there all the time and see that they do not snow you under. I know that women, once convinced that they are doing what is right, that their rebellion is just, will go on, no matter what the difficulties, no matter what the dangers, so long as there is a woman alive to hold up the flag of rebellion. I would rather be a rebel than a slave. I would rather die than submit;and that is the spirit that animates this movement…..I mean to be a voter in the land that gave me birth or they shall kill me, and my challenge to the Government is: kill me or give me my freedom: I shall force you to make that choice. 14 July 1858: Born Emmeline Goulden in Moss Side, Manchester. the Married Women’s Property Acts in 1870 and 1882.
early days of the campaign. 1889: Helps found the Women’s Franchise League. 1898: Emmeline’s husband dies of a perforated ulcer. 1908-09: She is jailed three times. serving a total of about 30 days jail. giving the vote to women over 30.
her health fails before she can be elected. equality for men and women is passed. This text is taken from the press release for the project, full details of which are viewable at charlottenewson.com. Copyright for the text is hers, not mine.